Published on April 30, 2014 in Art, Glasgow 2014 and partnership. 0 Comments Tags: Games charity song, Unicef. East 40, children forms schools in the East End of Glasgow today released “Let the Games Begin“, a single in aid of UNICEF, to celebrate the Glasgow 2014 Commonwealth Games. 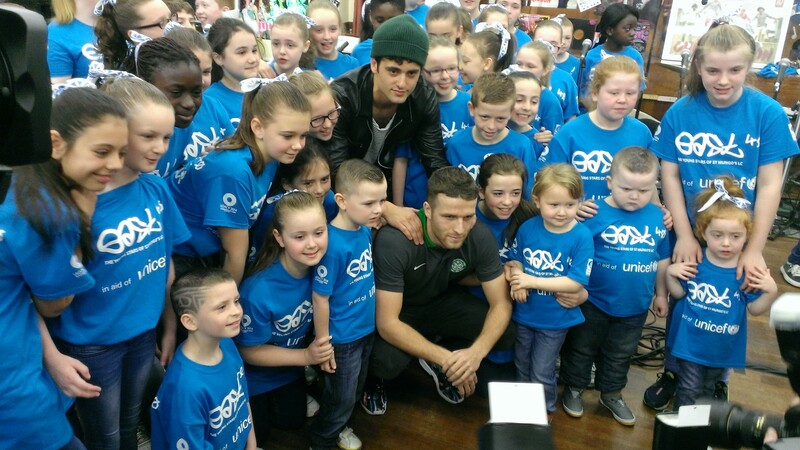 Young stars form nursery, primary and secondary schools across the East End of Glasgow performed the song live for the first time with Freddie Cowan, lead guitarist from the Vaccines. In an extraordinary partnership collaboration between St Mungo’s Learning Community, some of Scotland’s finest musicians including Scott Hutchison (Frightened Rabbits), Paul Thomson (Franz Ferdinand), local writer Jonathan Carr and the artist Gerard M Burns learners across all ages and abilities created an inspirational piece of music which will be at the heart of the Games Charity UNICEF’s fundraising efforts. Published on April 29, 2014 in Active. 0 Comments Tags: Forestry Commission Scotland. 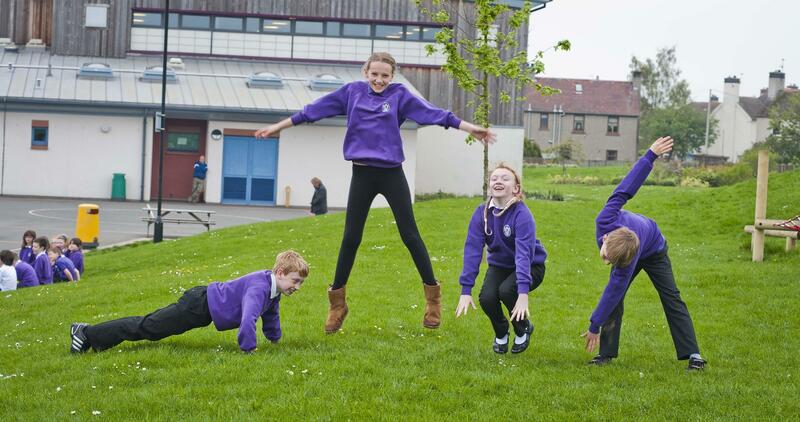 Forestry Commission Scotland is encouraging young people to feel the benefit of the Commonwealth Games with a new Woodland Workout pack. Targeted at 3-14 year olds the pack promotes opportunities for quality, fun and safe physical activity in the outdoors and includes ideas for games, physical activities and staging ‘adapted’ Commonwealth sports in the woodlands. “Children and young people are going to get really enthused and excited about a lot of sports when the Commonwealth Games start in the summer. They’re going to want to get active and maybe try out some of those sports and this pack is a way for teachers and schools to tap into that enthusiasm in a fun way. “All of the activities featured in the Woodland Workout – including the adapted Commonwealth Games sports – can be enjoyed at any time and it’s a great way to let children (aged 3-14 years) participate in enjoyable learning experiences that will develop enterprising knowledge, skills and attitudes and promote physical health and wellbeing. “With a relaxing and invigorating atmosphere, local woodlands offer the best backdrop for the activities but the idea is to be active outdoors so school grounds – or any nearby green spaces – are just as good. There are no templates or correct answers in nature so using the natural environment encourages children to cooperate and arrive at a ‘best-fit’ solution to problems and challenges. The pack, complete with teachers’ guide, encourages young people to have fun but to also be responsible for their well-being and consider risk. As well as considering potential hazards in their activity space and taking risks with solving problems, it also allows children the chance to learn how to manage ‘failure’ through reflecting on performance to set new challenges. Red Cross – Commonwealth Games Resource available now! Published on April 28, 2014 in curriculum, Educational resources, International Education and partnership. 0 Comments Tags: Red Cross, resources. What is the connection between the Commonwealth Games and asylum-seekers and refugees? The answer is all in the welcome. The British Red Cross have created a resource which explores the themes of welcome and cultural understanding in the run up to the Commonwealth Games. You can choose from a selection of quick activities featuring lesson starters and quick explorations for tutor time. Published on April 24, 2014 in Glow Meet, International Education, Queen's Baton Relay and Social Studies. 0 Comments Tags: Glow Meet, mark beaumont, Queen's Baton Relay. 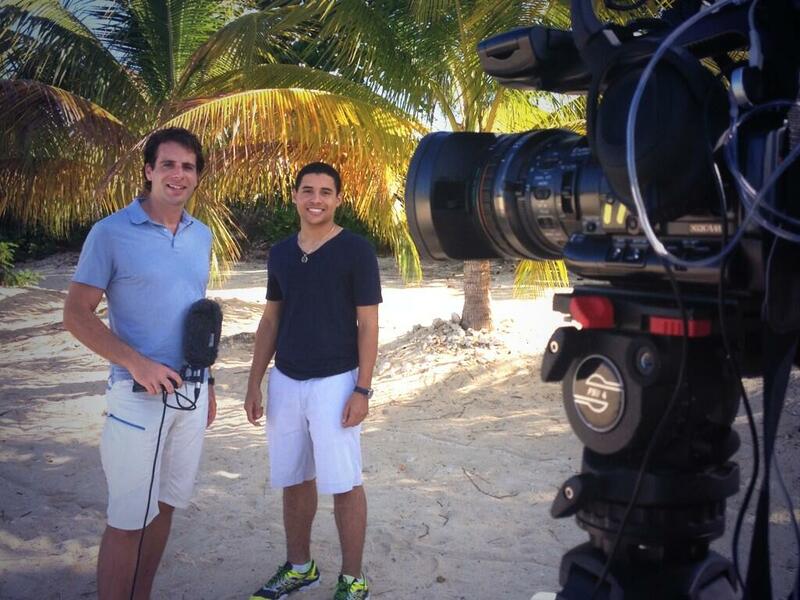 As part of our ongoing series of Glow Meets, we’re delighted to confirm that intrepid adventurer and jet-setting BBC reporter Mark Beaumont will be joining us on Tuesday 29th April. You can register to get involved here. Mark is currently working his way around 70 nations and territories of the Commonwealth, following the Queen’s Baton as it visits the countries who will be heading to Glasgow to compete in this summer’s Games. His journey has so far taken him to Asia, Oceania, Africa, South America and the Caribbean as part of a trip which began when the Queen’s Baton left Buckingham Palace on 9 October last year. On Tuesday the Baton will be in Ottawa, Canada, and Mark will be joining our Social Studies themed Glow Meet at 2pm to talk about his experiences and answer questions from school students across Scotland. Published on April 24, 2014 in Culture 2014 and Glasgow 2014. 2 Comments Tags: culture, expressive arts, festival 2014, performance. 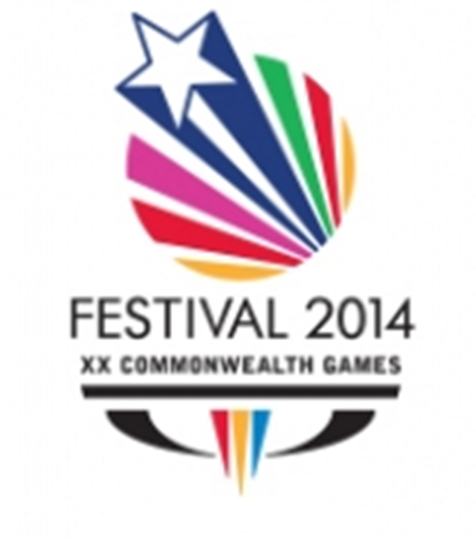 Festival 2014 is a huge Games Time celebration in Glasgow running alongside the sporting action. It will transform the city from 19 July to 3 August with an invigorating mix of entertainment, culture and enjoyment filling the streets, spaces and stages of Glasgow. The highlight of Festival 2014 will be three specially created Live Zones, one at Glasgow Green, one in the Merchant City and a third at Kelvingrove Bandstand. Here you will be able to experience the buzz of the Games, watch live sport on big screens, participate in arts and sports, and watch music, dance, comedy and film in outdoor stages and spaces specially designed to put you at the heart of the Games experience, at the heart of the city. We’re delighted to announce that we’ve been working with organisers to offer outstanding performance-based groups from the education sector the opportunity to showcase their talent in Glasgow during the Games. If you have groups in your school or centre who excel in music, dance or theatre then please read the supporting brief and complete the expression of interest form attaching any supporting media (e.g sound clip/video/pictures) and submit electronically to the address contained within no later than 5pm on Friday 9th May. The opportunity is open to groups from primary, secondary and special schools, colleges and universities in Scotland, as wells as groups from uniformed youth organisations. Published on April 2, 2014 in Expressive Arts and Performance opportunity. 0 Comments Tags: Athletes' Village, dance, Glasgow 2014, music, performance, theatre. Think you’ve got what it takes to entertain the world’s best athletes? Well, the Glasgow 2014 organising committee wants to hear from you! 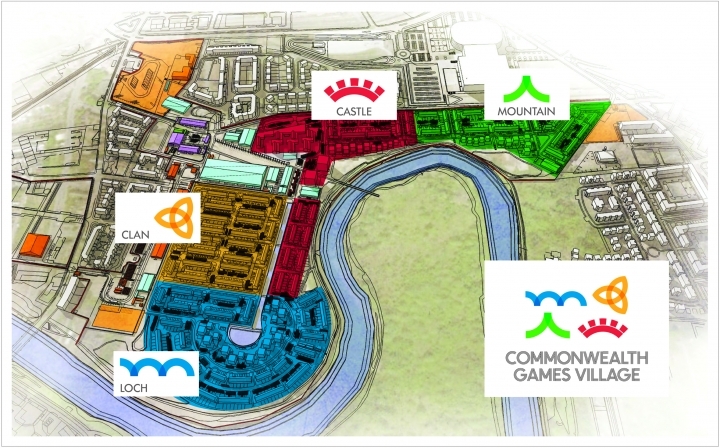 Limitations: Due to the operational security requirements for the Games, access to the Village for performances will be subject to security procedures, including a system of accreditation developed by Glasgow 2014. Groups should also be prepared to organise and fund their own travel to Glasgow during the Games. Timeline: Expressions of interest using this form should be returned to laura.bryan@glasgow2014.com by 30th April. The BBC Commonwealth Class Finale, 24 July, Glasgow! Published on April 1, 2014 in International Education, partnership and The Commonwealth Class. 0 Comments Tags: bbc, British Council, Commonwealth Class. BBC at the Quay is a 16-day festival running alongside the Commonwealth Games. A number of radio and TV programmes will be broadcasting from tents outside BBC Scotland headquarters at Pacific Quay, Glasgow. Commonwealth Class will also be part of this festival. We’ll be bringing together our Commonwealth Class students to talk about some of the issues that the youth of the Commonwealth face. We’re looking for children and young people aged between 10 – 17 years old – from as many of the Commonwealth nations and territories as possible – to be part of the audience to discuss issues with each other and our panel of guests. Please email commonwealthclass@bbc.co.uk to let us know if your school plans to visit Glasgow during the Commonwealth Games and you’d be interested in taking part in the audience at our live event. Published on April 1, 2014 in event. 0 Comments Tags: Commonwealth Games Scotland, diversity, equality, gender, interdisciplinary. Teachers and senior managers in all schools, Equality Co-ordinators, and those with a whole school responsibility for Games Legacy, including cluster initiatives, community learning and wider curriculum remits related to the Games (e.g. health and wellbeing). In addition it is relevant for those with a wider global citizenship remit and a particular interest in diversity and equality, tackling sectarianism and human rights issues. With Scotland’s biggest ever cultural and multi-sport event so close we would like to invite practitioners to join us and find out more about pertinent issues related to the Commonwealth Games. Reflecting on the three core values of the Commonwealth Games Federation, humanity, equality and destiny, the conference will provide delegates with a speakers and workshops focused on values education in a global context as well as the inclusion of all. The event will showcase inspirational initiatives from schools and third sector organisations across the board and highlight programmes available to teachers to ensuring that, together, we deliver a lasting legacy for learning. The addresses will be delivered by a number of inspirational speakers covering a wider range of topics from para-sport, tackling sectarianism, inequality and discrimination through the common goals of the Commonwealth and rights based education. A variety of engaging workshops delivered by practitioners and organisations experienced in Games Legacy work will provide practical, hands-on exemplification on the impact of using the Games as a context for learning. Access the GOS Equality and Diversity Event 7 May programme final here. We invite you to join us for an inspirational day of sharing and collaborative thinking around a variety of exciting opportunities by registering for the event on line or directly with Diane Carson: Diane.Carson@educationscotland.gov.uk . Participation in the Commonwealth Games Ceremonies! Published on April 1, 2014 in Culture 2014 and Glasgow 2014. 2 Comments Tags: Closing Ceremony, Culture 2014, Opening Ceremony. There is still time to become part of the cast for the Ceremonies: Apply by 18 April here . Financial support to assist with costs is available on an application basis to successful cast members and will be targeted to assist participation in the ceremonies by those facing challenges meeting costs including independent living support, carer costs, childcare, travel to Glasgow and ensure that they can complete their experience. The funding will be independently administered by Volunteer Scotland and Voluntary Arts Scotland which has developed detailed application criteria. For further information please contact info@volunteersupportpot.org.uk . 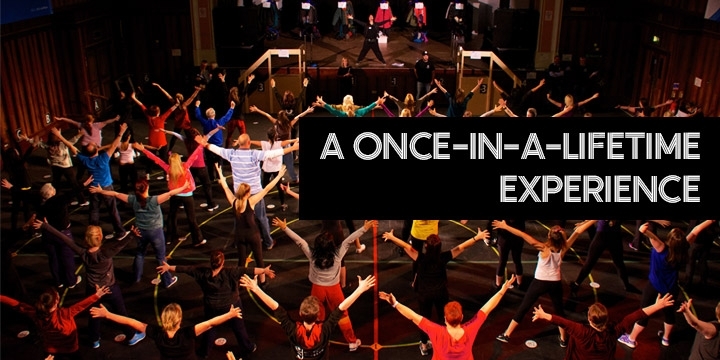 You don’t need to have previous experience as we will teach you all you need to know.. Bring your personality, commitment and maybe even a friend along to one of our group auditions and start the experience of a lifetime. Apply by 18 April here .